would be more REAL business building going on in our industry. But alas, it means there's more for us! essence, they are trained to be commission based sales people. there is training on how to be REAL entrepreneurs. 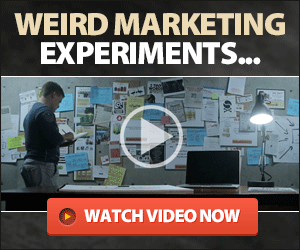 Real entrepreneurs build MARKETING FUNNELS. Real entrepreneurs build their own LISTS of prospects, customers, and partners who they can market to for the rest of time. But not only can you cultivate an asset that pays you for the rest of your life when you are building your OWN List...but you can Build and Deepen your relationship with all those people, which is the essence of successful network marketing,on a scale that begs belief to what most people in our industry are used to. Imagine sending one email out to a 1000 people whom have opted in to your list. Also having system set in place to automate your follow up with prospects. The possibilities are literally ENDLESS once you know how to use REAL business building principles to grow your organization on the internet. You see, once you start generating leads who are going into YOUR personal marketing funnel...you can offer a variety of products and services to those people and spin income streams off your list in many ways. This is one of the things I learned that truly started to transform my profitability online. When I got out of the 'box' and started seeing myself as my business...my business started to change. I started applying real internet marketing principles to my network marketing business...and overnight more and more success just started to creep in. The bigger my list got, the more power I had. The more power I had...the bigger I could grow my list. And as of today, I have now gotten my lead generation to do between 30 – 50 brand new opt ins every day. Imagine if you had 50 new leads to build relationships with every day. You think your business would be growing bigger!? The point is, these are principles that almost no one is teaching network marketers at large...and that has to STOP and I can help.